Go beyond the screen and Ride The Movies™ at Universal Studios Singapore™. 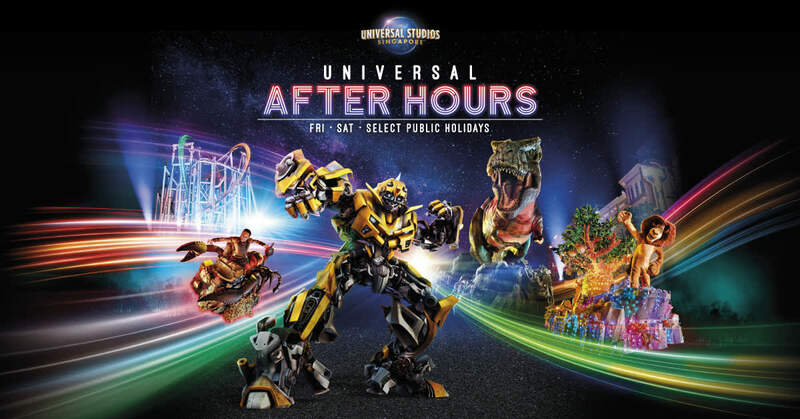 Experience cutting-edge rides, shows, and attractions based on your favorite blockbuster films and television series! Enjoy convenient and affordable transportation into Sentosa by purchasing a Sentosa Express Ticket! 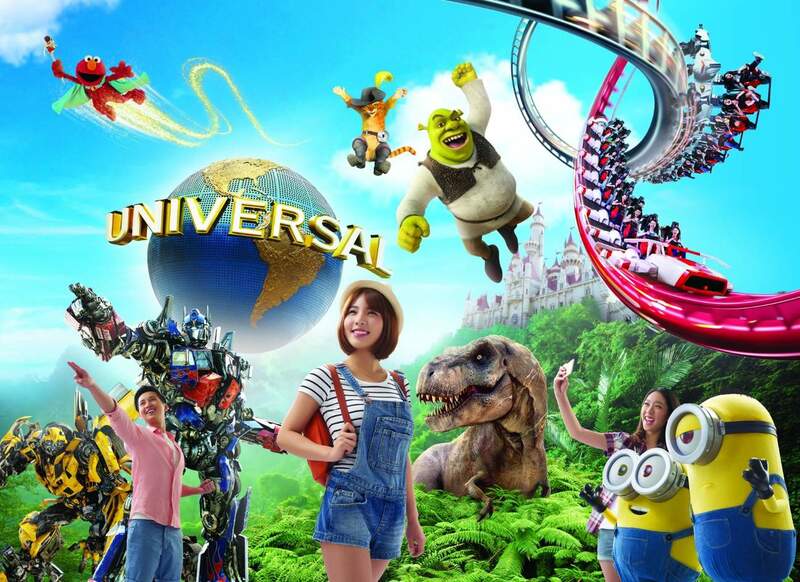 Read Klook's Universal Studios Singapore guide to discover how you can maximize your day out at the park! Don't want to queue? Purchase your Universal Studios Singapore™ Express Pass today! Check out our Klook Exclusive staycation package for USS! Klook is really my staple for international travels. 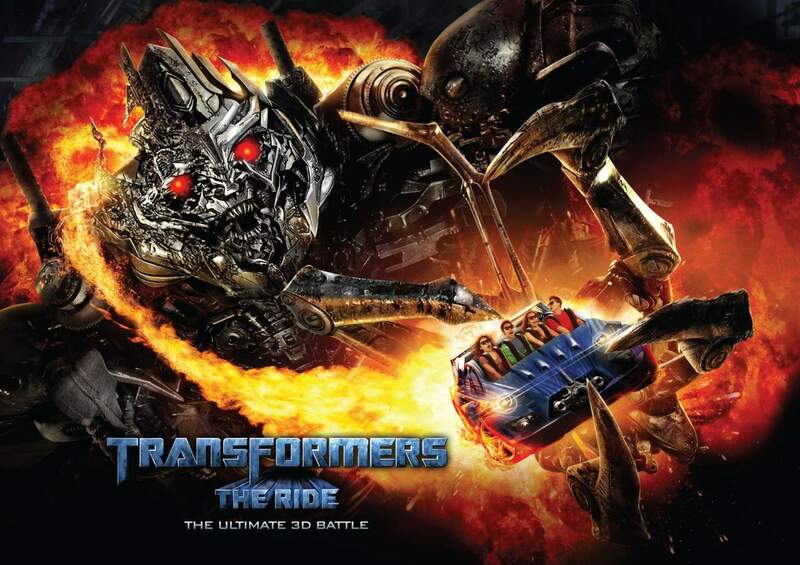 Go beyond the screen and Ride The Movies™ at Universal Studios Singapore™. Experience cutting-edge rides, shows, and attractions based on your favorite blockbuster films and television series, including Puss In Boots’ Giant Journey, Battlestar Galactica: HUMAN vs. CYLON™, TRANSFORMERS The Ride: The Ultimate 3D Battle, Jurassic Park Rapids Adventure™, Sesame Street Spaghetti Space Chase and more! 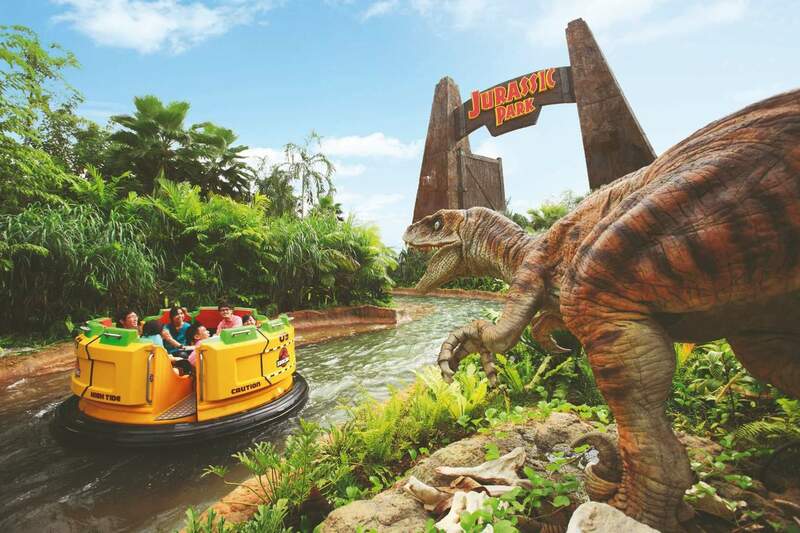 Universal Studios Singapore™ is sure to indulge the thrill-seeker or movie buff's every fantasy. Be sure to check out the show schedule once you arrive onsite. We recommend that you plan your itinerary around the Waterworld show timings. Weekend visitors should also plan around the magical Hollywood Dreams Parade and the incredible fireworks of the Lake Hollywood Spectacular! Look out for our friendly bus driver! We started in the morning. No need of standing in queue as we receive ticket by email from klook and we have to either show mobile voucher or printed ticket . A must activity if you r visiting Singapore. Hassle free trip coz of klook. We started in the morning. No need of standing in queue as we receive ticket by email from klook and we have to either show mobile voucher or printed ticket . A must activity if you r visiting Singapore. Hassle free trip coz of klook. went here in a Saturday so the place was packed. Took us long waiting in the line for the rides so I suggest getting an express pass if it's holiday or on a weekend. Had fun taking lots of pictures and admiring the colorful and wonderful beauty of uss. went here in a Saturday so the place was packed. Took us long waiting in the line for the rides so I suggest getting an express pass if it's holiday or on a weekend. Had fun taking lots of pictures and admiring the colorful and wonderful beauty of uss. It is advisable to go there on weekdays. rides are good especially the Cylons and Mummy Rollercoasters. Make sure to bring extra clothes, It could be really hot especially on summer. Shows are also incredible specifically the Waterworld. I'll comeback again for sure. Thanks also for the free shuttle service going to sentosa. It is advisable to go there on weekdays. rides are good especially the Cylons and Mummy Rollercoasters. Make sure to bring extra clothes, It could be really hot especially on summer. Shows are also incredible specifically the Waterworld. I'll comeback again for sure. Thanks also for the free shuttle service going to sentosa. really fun to enjoy with family or couples. recommended to at least visit one time even though is small, but spending a whole day is a must. taking pictures and riding rides are a must. during weekdays, there is still quite a lot of people and waiting time is roughly 30 minutes to 1 hour plus but is still manageable without spending extra for fast pass. will definitely visit again when I come to Singapore. really fun to enjoy with family or couples. recommended to at least visit one time even though is small, but spending a whole day is a must. taking pictures and riding rides are a must. during weekdays, there is still quite a lot of people and waiting time is roughly 30 minutes to 1 hour plus but is still manageable without spending extra for fast pass. will definitely visit again when I come to Singapore. An awesome experience! 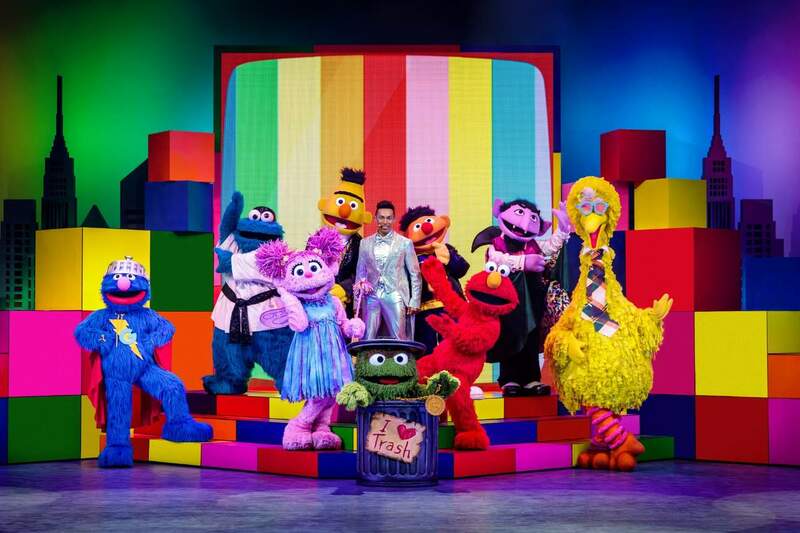 Going beyond at Universal Studios Singapore theme park! We enjoyed the immersive entertainment. It is located at Sentosa Island. You will have the chance to meet your fave cartoon character. There are seven different zones to explore at the Sentosa Island Universal Studios: Hollywood, Madagascar, Far Far Away, The Lost World, Ancient Egypt, Sci-Fi City and New York. Each zone features its own themed rides, shows, shops, restaurants and street entertainment. The park was amazing. An awesome experience! Going beyond at Universal Studios Singapore theme park! We enjoyed the immersive entertainment. It is located at Sentosa Island. You will have the chance to meet your fave cartoon character. There are seven different zones to explore at the Sentosa Island Universal Studios: Hollywood, Madagascar, Far Far Away, The Lost World, Ancient Egypt, Sci-Fi City and New York. Each zone features its own themed rides, shows, shops, restaurants and street entertainment. The park was amazing. Hassle free service! No need to wait in line to buy a ticket. Experience thrilling rides. It was an enjoyable tour, but i wished they still have the extra food voucher like the ones that they have before. My brothers really enjoyed the trip! Hassle free service! No need to wait in line to buy a ticket. Experience thrilling rides. It was an enjoyable tour, but i wished they still have the extra food voucher like the ones that they have before. My brothers really enjoyed the trip! Booking through Klook is very convenient specially for those who doesn't want to line up twice with both long queue (Ticket Booth and Entrance), We are able to experience the best of USS for getting inside the park early (must try is The Transformer and Revenge of the Mummy), Overall experience is great! I highly recommend to book your tickets with Klook. Booking through Klook is very convenient specially for those who doesn't want to line up twice with both long queue (Ticket Booth and Entrance), We are able to experience the best of USS for getting inside the park early (must try is The Transformer and Revenge of the Mummy), Overall experience is great! I highly recommend to book your tickets with Klook. Booking tickets online through KLOOK proved to be very helpful as we visited Universal Studios during the weekend, so we were able to avoid the long queues. I would also recommend to purchase the Express Pass through KLOOK, it makes your entry to all the attractions easier, beating the large crowds during weekends and holidays. Booking tickets online through KLOOK proved to be very helpful as we visited Universal Studios during the weekend, so we were able to avoid the long queues. I would also recommend to purchase the Express Pass through KLOOK, it makes your entry to all the attractions easier, beating the large crowds during weekends and holidays. The booking from klook made it easy for us to enter universal studios. The lines were not too long when we entered. I was expecting more attractions like in hollywood but only limited attractions were there. Some of the rides were unavailable and closed for maintenance. April is too hot and the weather is not suitable for young children. If uou bring them make sure to let them drink water every now and then not to get dehydrated. Overall it was a good experience. The booking from klook made it easy for us to enter universal studios. The lines were not too long when we entered. I was expecting more attractions like in hollywood but only limited attractions were there. Some of the rides were unavailable and closed for maintenance. April is too hot and the weather is not suitable for young children. If uou bring them make sure to let them drink water every now and then not to get dehydrated. Overall it was a good experience. I totally in love with this apps, because is so convenient and i purchase on the day itself. Very fast received ticket within a min. I would recommend check the weather forecast before you purchase on the day itself. Weekend queue is very Long, you may need to wait for 2 hours just for one ride. Weekday is better because not much people waiting for the queue. And there is a promotion, for adult ticket just top up $29 to get 6 months unlimited entrance, for child is $39 to get 6 months unlimited entrance as for my understanding is because child original ticket is cheaper so when we purchase. If want to purchase express, just top up $100 for 6 months unlimited express. That’s is really a good deal for us. I totally in love with this apps, because is so convenient and i purchase on the day itself. Very fast received ticket within a min. I would recommend check the weather forecast before you purchase on the day itself. Weekend queue is very Long, you may need to wait for 2 hours just for one ride. Weekday is better because not much people waiting for the queue. And there is a promotion, for adult ticket just top up $29 to get 6 months unlimited entrance, for child is $39 to get 6 months unlimited entrance as for my understanding is because child original ticket is cheaper so when we purchase. If want to purchase express, just top up $100 for 6 months unlimited express. That’s is really a good deal for us. A: Unlike third party platforms who may hold fraudulent tickets, Klook is an authorized reseller of Universal Studios Singapore™. All tickets sold by Klook are genuine and will be accepted at the admission gate. Q: Do you offer the express pass for USS? Q: Does the admission ticket include snacks and drinks? A: No, snacks and drinks are not included.